To coincide with the release of Wonder Park on the 8th of April, The Entertainer will have some lovely toys available that little ones will enjoy. 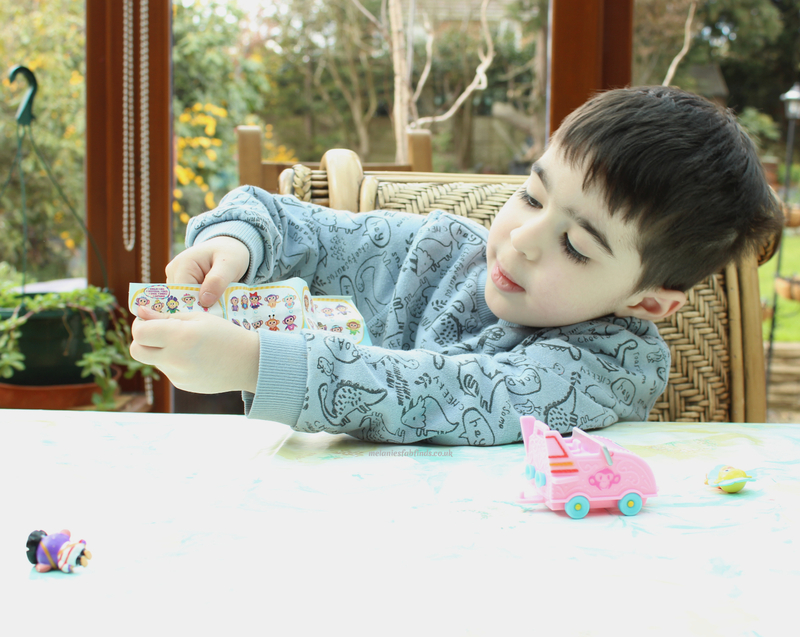 These toys vary from soft and cuddly, to fun colourful playsets to help little ones recreate scenes from the show. to review. 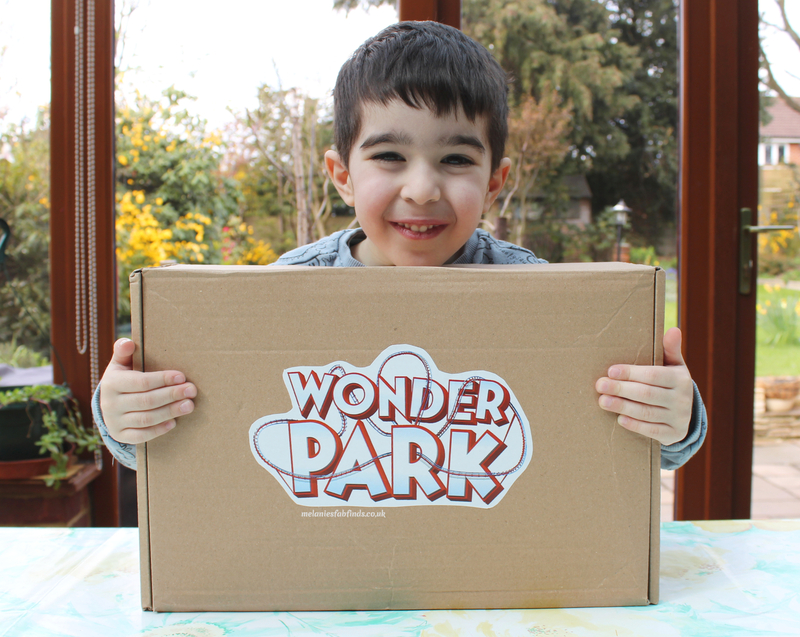 Wonder Park toys are suitable for ages 3 and over. These and other toys from the range can be purchased from The Entertainer, my son’s favourite toy shop! Inside the box we found all sorts of fun toys. Of course, this little guy was super excited and couldn’t wait to get opening and playing with everything. When I mentioned to my son we were reviewing some Wonder Park toys this was the item he had picked out from the plush toy options as his favourite. 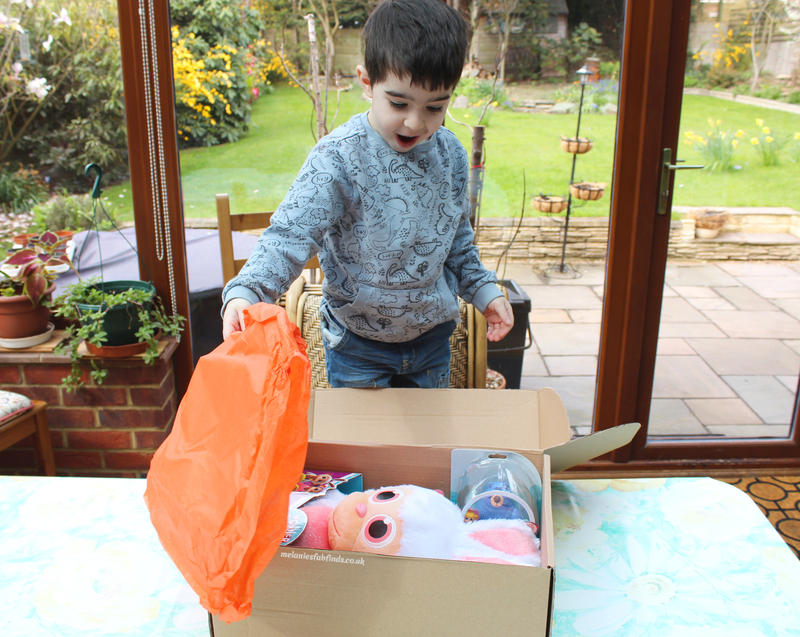 He was over the moon that we were lucky enough to be sent one. 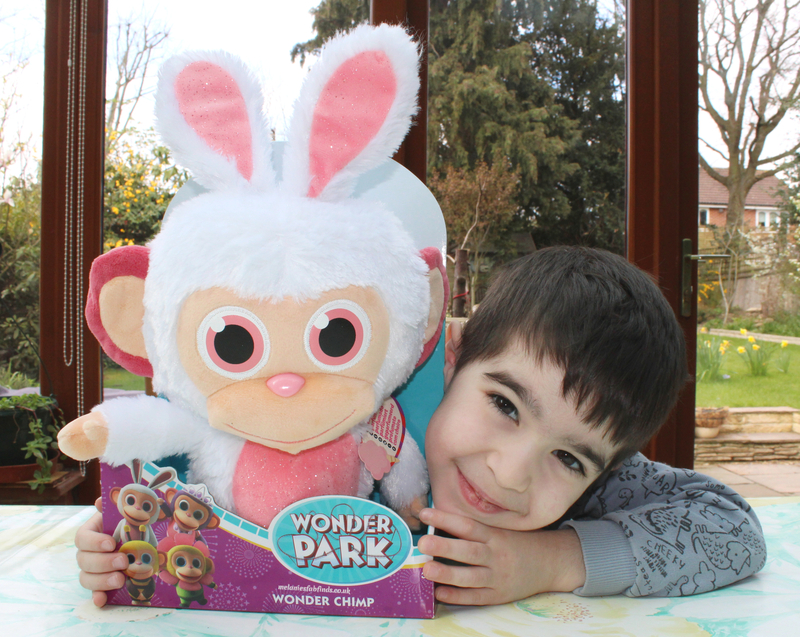 The scented Wonder Chimps are the official souvenir of Wonderland and there are different characters to collect. These include a bee, flower and Princess. 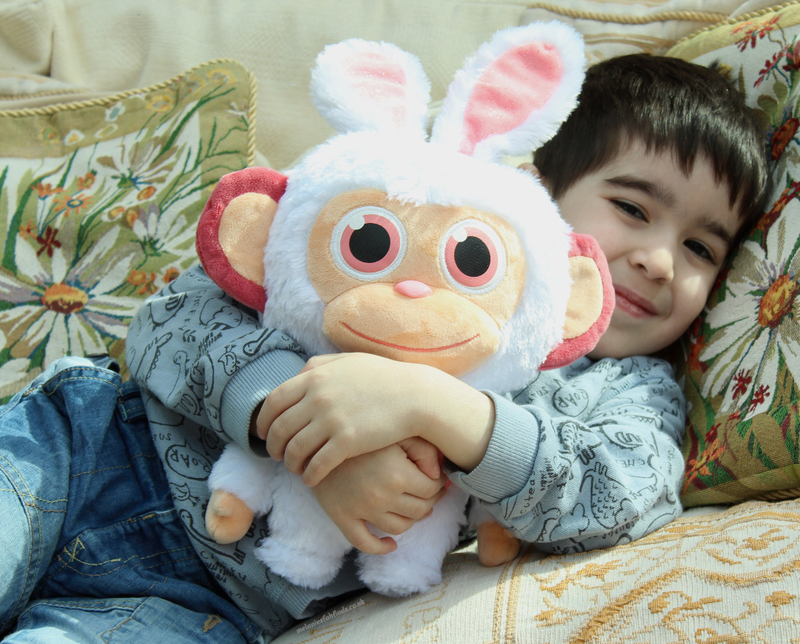 The Chimp Plush Bunny is not only super cute, soft and perfect for cuddles, it also smells like cotton candy just like in the movie. My son adored his new friend and won’t even let his sisters play with it. Naturally, this has become his favourite bedtime cuddle buddy aside from mummy of course. These are really good fun. There are 30 to collect in series one. In each, you will discover a chimp hidden inside its own free rolling coaster car. 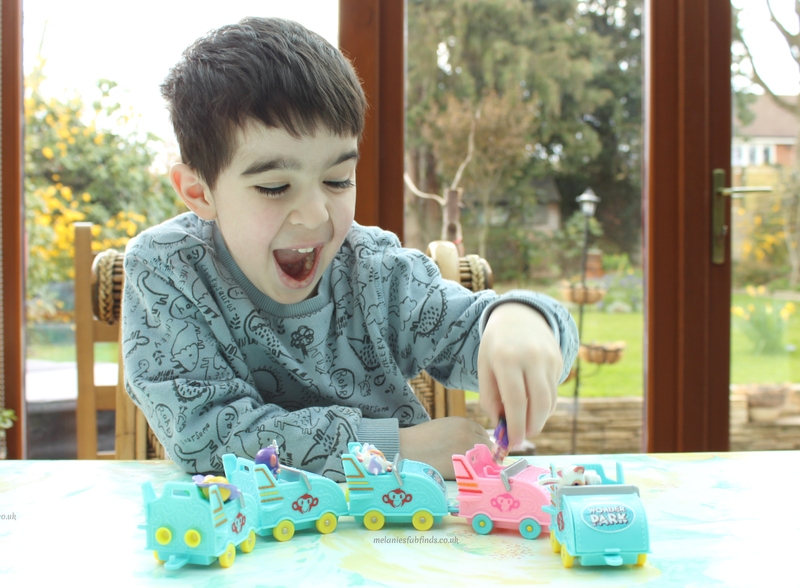 These cars can be joined together making them even more fun to play with. 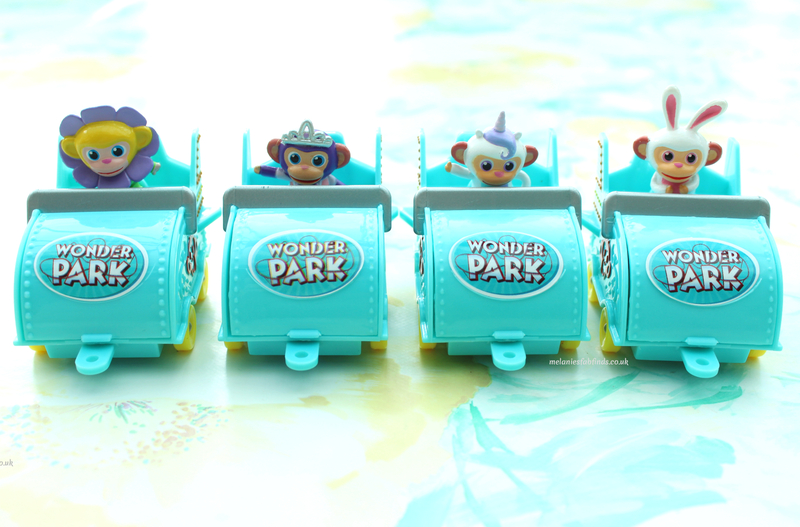 Each series will see new wonder chimps and new coaster car colours. These are fun little toys that are easy to be taken out and about for on the go fun as well as fun at home. Little man likes taking these when we go on car journeys to pass the time and make the journey more fun. These come with 3 different chimps. 1 you can see and 2 mystery chimps. There is also a free rolling coaster car and collectable insert. As with the single packs, the cars can be joined together. There are 5 different packs to collect. Naturally, mine want them all to complete the set and make their creative play even much more fun. Collecting these little guys is great fun. 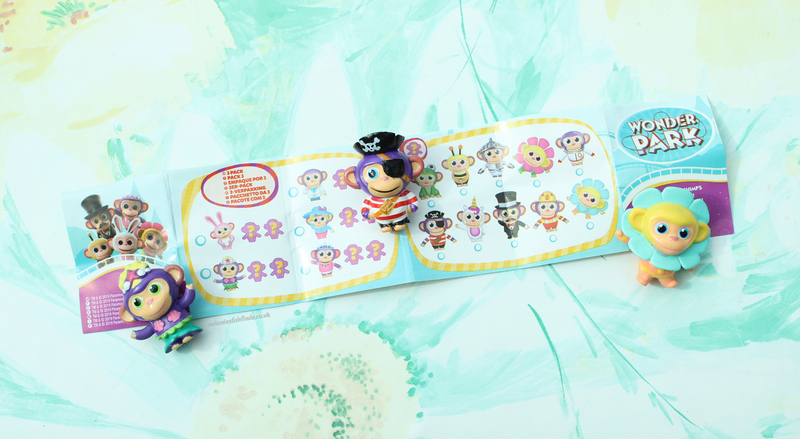 The collectable insert can be marked when you have the corresponding characters. There are numerous fun characters from the movie to collect. Boomer the bear happened to be in the figure pack we were sent. 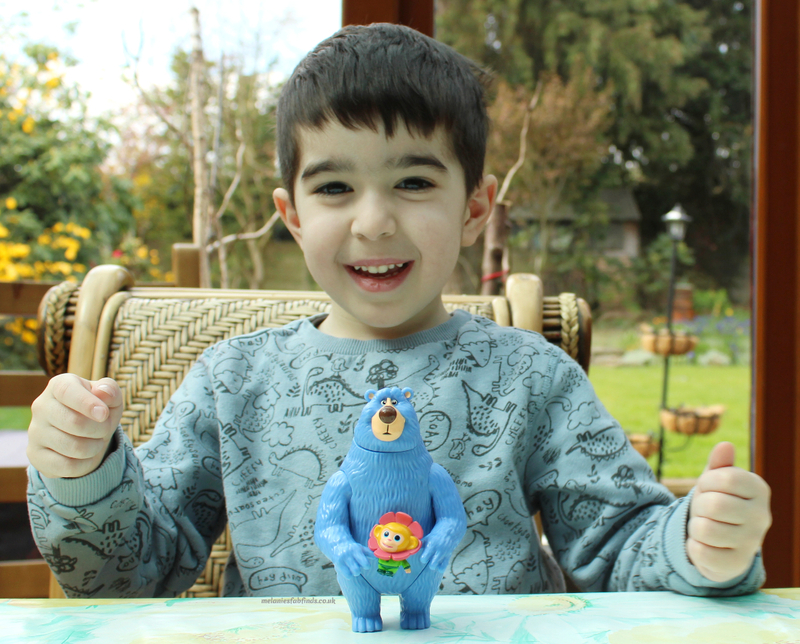 My son loves animals, as a result, he was very pleased with his new animal friend. Alongside him was an exclusive Wonder Chimp. Little man loved that he could pose the character to make play more realistic. There are other characters to collect each comes with an iconic accessory from the movie! These toys are really good fun with a good variety to be collected. The scented plush toys are a great idea and I am sure they will be as big a hit with other children as they were with mine. The toys are well made and durable making them easy for children to play with and long lasting. Wonder Park toys can be found on sale at The Entertainer. They make great gifts for birthdays and treats. There are many more toys in the range to collect allowing you to create your own fun Wonder Park at home. Disclaimer: Funrise Toys sent a box of goodies for the purposes of this review. All thoughts and opinions are our own. He looks insanely happy with everything! Very adorable and cute toys inside, this box is a brilliant gift for kids.I am sure my niece would love something like this ! I am sure she would. 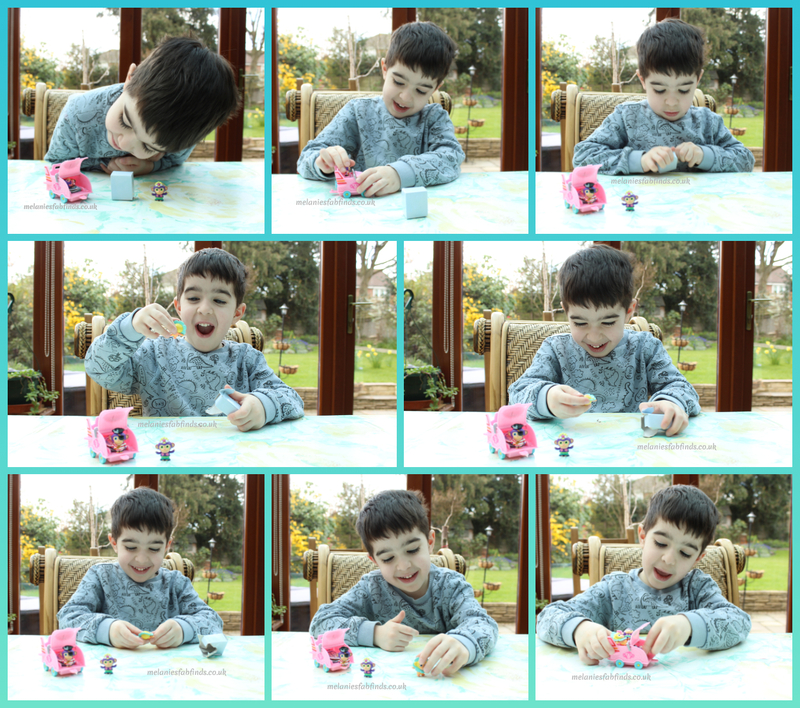 These are lovely toys, perfect for little ones for fun imaginative play. Ah he looks so happy with them! They look fab. He was having a great time. He loves playing with these. These all look really great and you’re son looks so pleased – it looks like her had lots of fun with all his new treats! He sure did. They are cute little toys. Bless! I can remember collecting drink tops, stickers and Lord know what else excitedly. It seems like a million years ago now. Sigh. Enjoy childhood, luv! The look on his face says it all. I think it’s an amazing box and I appreciate your review. It sure does. He loves playing with these. How this kid enjoy it makes me feel happy too lol. Hurray to more of these toys please! Such a lovely box to review. We are excited to see wonder park this Easter. My Daughter is quite sensory led so would love the scented toys. It did have a lovely selection of toys. My son is inseparable from his scented teddy. It’s in bed with him every night. I know. He was super excited when he opened the box. I had to slow him down as he was going to open everything super fast and run off with the toys lol. The bunny looks so adorable! Just reminds me of my bunny that’s always at the side of my bed. He must be happy with all the toys, right? He sure is. The bunny is his bedtime bunny and the other toys are great for days at home. Oh man, never heard of this before but… I am sure I will along with a billion other toys in the near future – my son is almost 4 months old. These go alongside the new movie that’s out. They have a lovely range available. These are perfect to keep children entertained for hours. He looks so happy with the box. It has lovely collection of toys. Happy Easter to you and your family. Lovely post. Thanks so much. Happy Easter Khushboo. These are really cute toys. Perfect for his age. This toy is so adorable. It looks like something that my nieces and nephews would love. I have to look into getting this for them. I bet they’d love them. The toys are great, kids love collectables. Too cute! I can see kids having a blast with these. The movie looks really good. They are fun toys to play with. Thanks Cait. They are great toys with cute characters. These are really nice toys to go along with the movie. I think the plush is super cute and collectibles are always fun. The collectables are great. The little ones want to make a loooooonnnggggg carriage with them lol. Oh wow this looks absolutely fantastic. What a great toy, Wonder Park sounds like it is going to be such a fun movie. It does sound like a great movie. We haven’t had time to see it yet, opsy. The toys have been popular at home though. These toys are so adorable for the little ones. Everything is trending with the collectibles and collector’s guides now too, so they got that right. They sure have. These are great as collectables and it’s not just the small toys that can be collected. I love reading these reviews where the kids get the box! Their faces say it all! How fun! You can really tell what they think from their facial expressions. I never heard of this toy before. It is cool that the bunny is scented. Its so cute. Anyways, It looks like your son likes it as he looks really happy. These have just come out. He loved them!!!! Looks like the handsome little man had some enjoyment! Truly kids love surprises, and these toys are very nice option to give. Thanks for sharing! These are a great option. My son loves playing with the toys.